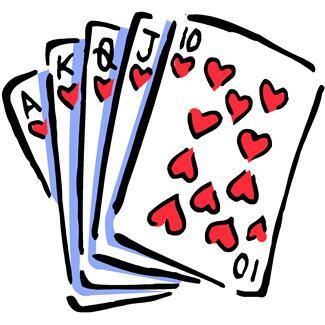 Please post a comment if you know of any other mystery authors who write Poker Mysteries, Bridge Mysteries, Gambling Mysteries, or any other Card Game Mysteries. Would Gail Oust’s Bunco Babes fit in this category? Judith, a while ago I added Bunco to the Crossword Puzzle theme mysteries, which I clearly shouldn’t have done. I guess it wouldn’t hurt to put it on this list, also. Thank you so much, Alfred. I absolutely don’t know how this one escaped me! Susan Moody writes a series about an English bridge instructor named Cassie Swann that should be on your list. Thanks, Glynnis, for telling us about Cassie Swann. The recent discussion on the number of Sherlock Holmes books written ‘post’ Conan Doyle reminded me that there are two Holmes mysteries that fit this theme. ‘Sherlock Holmes: Bridge Detective’ & ‘Sherlock Holmes: Bridge Detective Returns’. Both by Frank Thomas. Susan*, I’ll go add Frank Thomas to the list of Authors Who Have “Adopted” a Long-Standing Mystery Series. Thank you.